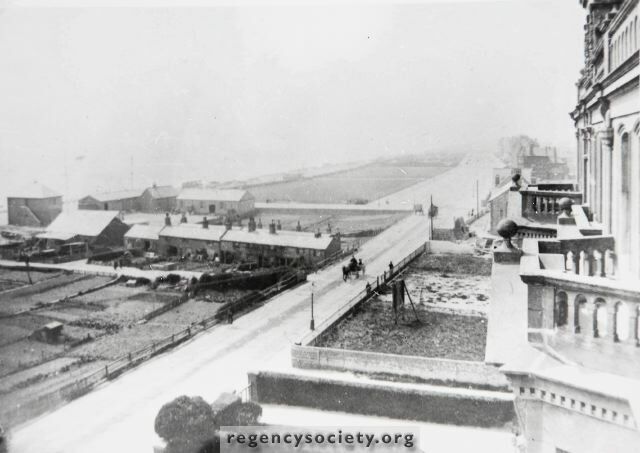 In this photograph from St Aubyns Gardens, can be seen the old road in front of Beach Cottages which ran past the boat builders yard, down to the Esplanade. The lane in the right foreground led to three cottages, known as Ivy Cottages, which faced west, backing on to Namrick Mews. They were removed in 1927. The wasteland beyond is now the site of Vallance Gardens.